Utrecht is building a new Central Station area. This is needed because of overdue maintenance, a growing number of passengers, a growing city and the desire to restore the original canals. With the construction of a new and renewed area all these things are tackled at once. 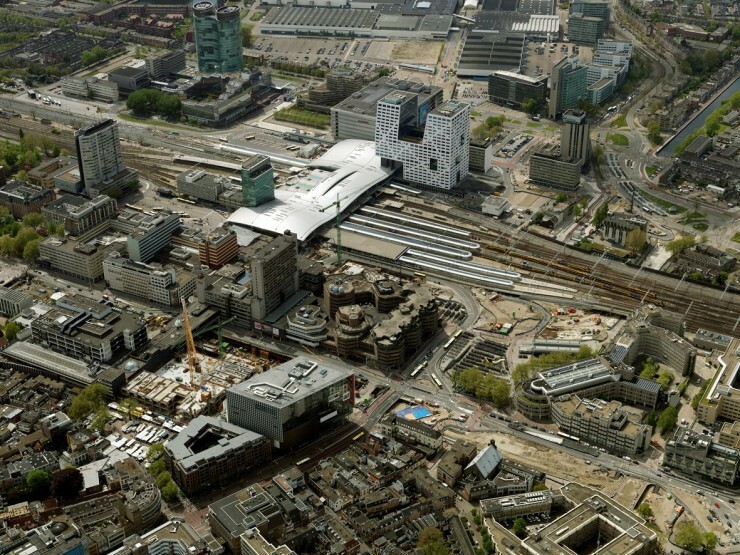 The historic inner city and Utrecht Beurskwartier are two separated parts of Utrecht; these parts will be connected again to form one coherent centre. Utrecht is building the future of the city: a meeting place for everyone wishing to travel, shop, live, work and relax in the dynamic heart of the Netherlands. At the same time Jaarbeurs, which runs the main exhibition & conference center in the Netherlands for national events, is adjusting to accommodate the growing digital world and focuses on the importance of ‘live meetings’. During the coming years Jaarbeurs will be developing a unique experience. Between 2014 and 2022 a variety of projects will be gradually implemented, ranging from the construction of the largest cinema in the Netherlands to the large-scale renovation of the Jaarbeurs passage and halls. Against this background, the Municipality of Utrecht formulated an ambitious redevelopment plan together with Jaarbeurs and other stakeholders. Phase 1 of the project is in execution, while phase 2 is in the planning and decision phase (timeline 2015-2030). Phase 2, Utrecht The New Centre, concerns the redevelopment of the southern part of the area and includes the major stakeholder Jaarbeurs. Utrecht Beurskwartier will develop into an attractive, lively, safe, climate-neutral and multipurpose area, connecting the historic city centre with the areas South-West of the district. For more information on the redevelopment of Utrecht Central Station area and Utrecht Beurskwartier, please visit: www.cu2030.nl/page/english.